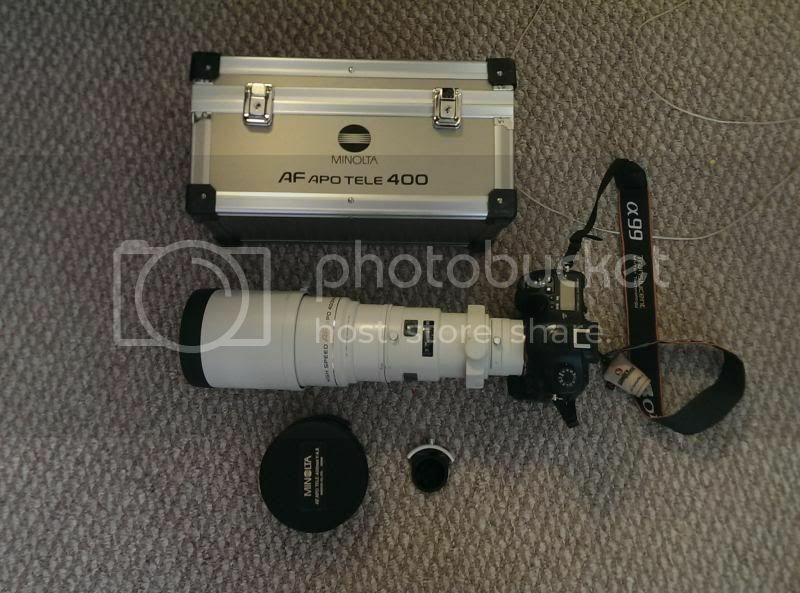 Bid on poorly described and awfully photographed minolta 7000 with what I thought was a 50mm 1.4 attached to it. When it arrived it was a 24 2.8. Price includes postage was eur133, which I consider reasonable for either of those two lenses. I'm soooooo happy ! Using my A850 since 4 (happy)years now and not a fan of the electric viewfinder . Both this last week on the internet and got it today ! A900 in 100% perfect condition. This all send te me for 6oo Euro's! If got 2 Full Frames now Lucky . I'd been looking to get an LA-EA2 for some time and just unwilling to pay the prices they had been going for. I'm looking to go with an A6000 for my next camera and was super happy to get a minty adapter (box, manuals, everything), for $150. edit: My latest "great deal" arrived today: Minolta Beercan. I had been eyeing them up for a long time, just didn't want to pay the price that I've been seeing them go for. I got mine for $65. End cap, case, metal hood, just no lens cap. Some marks on the body, rubber is in good shape and not marbled from age or whatever. Ken... good deal. I think you will miss your 80-200G... but I certainly understand your needing this for the quiet motor given the fashion shooting. Here is my little contribution to the thread. 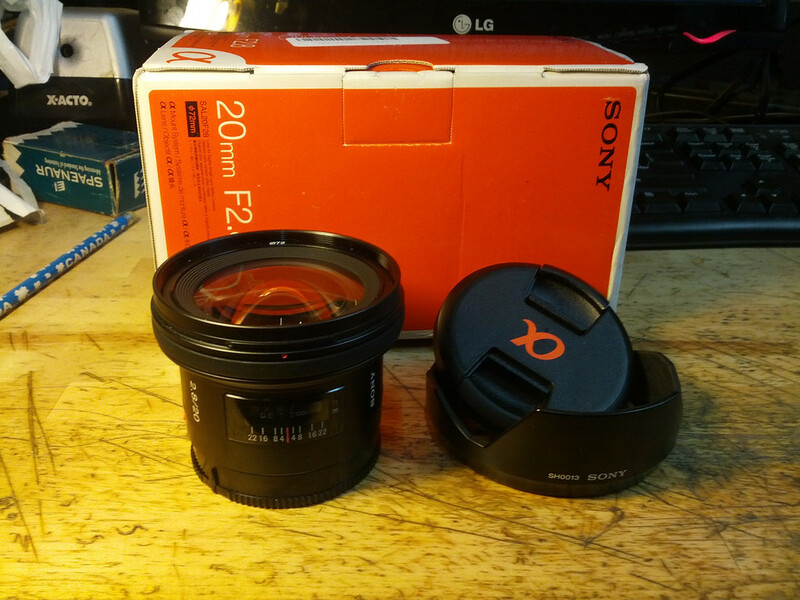 Sony AF20 2.8 in EX++ condition. I had intended on a buy and sell..... but I am going to keep this and sell my 2 UWA zooms. Why? Because its SO tiny! 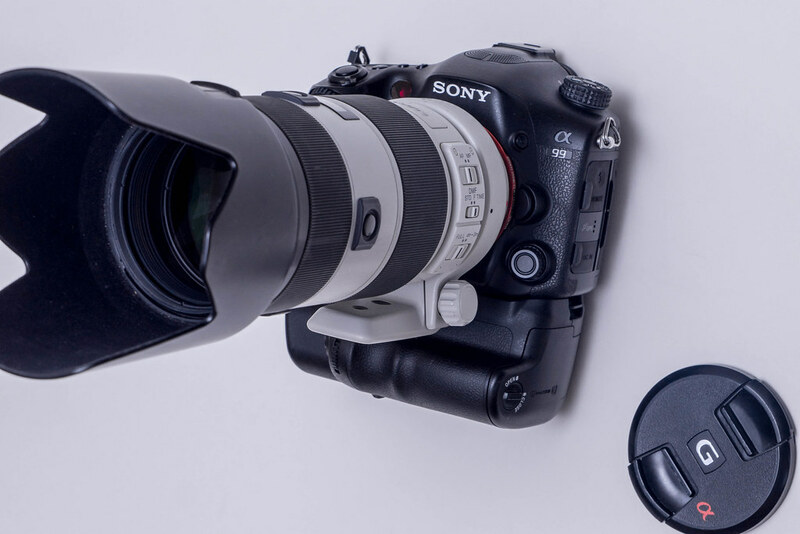 I tend to travel light and often I elect to lose the wide zoom (and then of course regret it). No more - this lens is so tiny and light it will always make it in the bag. Ken, good price, good buy. A great lens all around IMHO. Very good on FF, so-so on Aps-c.
Mike, that is a great price. When I was shopping for one they were usually in the $320+ range. Plus, it looks to be in good condition. Still can't really believe it, I got this beauty, Minolta 400 4.5 HS in EX+ condition from Adorama. Came with everything as new, both caps, hood, case, front filter, and drop in polarizer and normal filter. All for $1749. 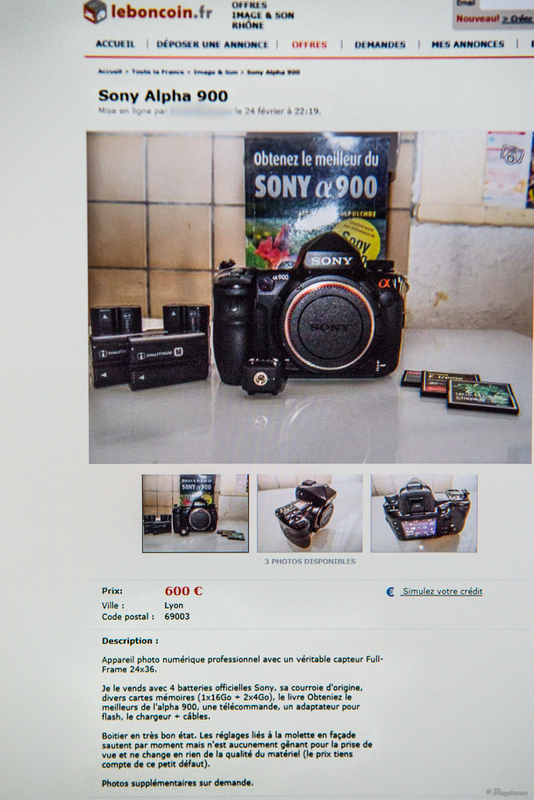 Is it normal for them to sell used gear this cheap? 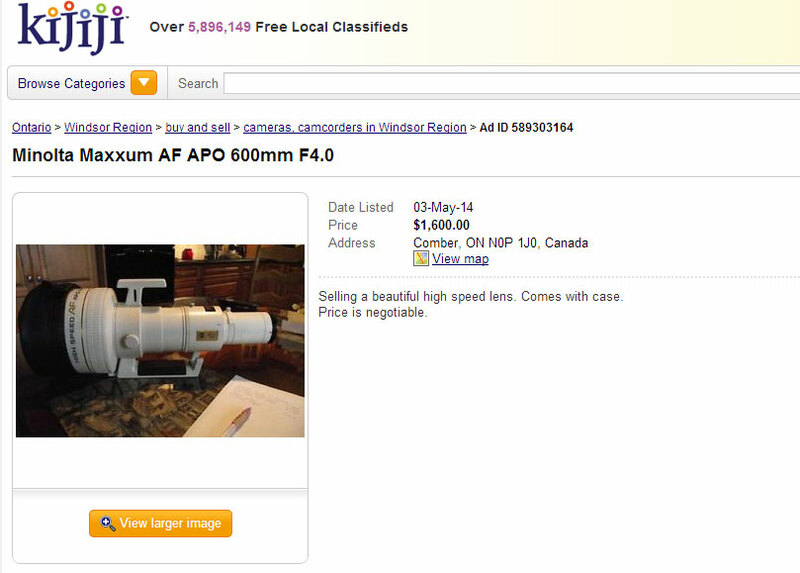 I saw the same lens on there a week ago for $2700. Given they are asking $3000 for a similar condtion 300 2.8 I would say "no". Congrats on a great scoop! That polarizer alone is worth at least 250. Budget buy and still not recieved so I'm still not convinced it's a great deal.